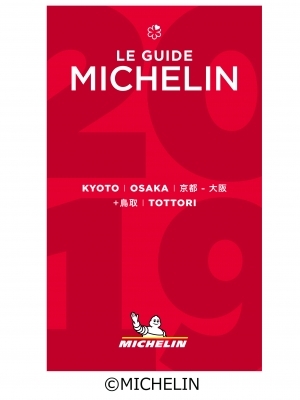 › THE ROYAL PARK HOTEL KYOTO SANJO and THE ROYAL PARK HOTEL KYOTO SHIJO was listed at "MICHELIN GUIDE KYOTO OSAKA + TOTTORI 2019 Restaurants and Hotels" . THE ROYAL PARK HOTEL KYOTO SANJO and THE ROYAL PARK HOTEL KYOTO SHIJO was listed at "MICHELIN GUIDE KYOTO OSAKA + TOTTORI 2019 Restaurants and Hotels" . THE ROYAL PARK HOTEL KYOTO SANJO was listed as a two-pavilion hotel at "MICHELIN GUIDE KYOTO OSAKA + TOTTORI 2019 Restaurants and Hotels" for seven years running. Also, THE ROYAL PARK HOTEL KYOTO SHIJO was listed as a two-pavilion hotel for the first time. We are trying to provide services that every guest will be satisfied with our hotel.